I don’t know how it started (that’s a lie, yes I do: it all started a Pandora station of circa 2000 pop music in honor of May 1st and the Justin Timberlake meme “It’s gonna be MAY”) but I’ve been on a throwback boyband tear for a week. I missed the first wave of them, the Backstreet Boys and NSync’s of the era, but caught up just in time to be a gigantic O-Town fan. I know, I know, it’s okay, I’m judging me too. Anyway, boybands weren’t ever given enough credit in my opinion. Screaming preteens? Yes. Credit? No. A lot of them could actually sing but you kind of lost that in between all the typecasting (the “cute” one, the “tough” one, the “sensitive” one). If you missed out on the wonder that was Lou Pearlman’s first money-making harem of dudes, today is your lucky day: I present to you, the Backstreet Boys. Slow ballad not your taste? No problem. So in this particular iteration of boybands, AJ was the “bad boy,” Nick was the token blond cutie, Brian was the sensitive short guy with a heart defect (true story), Kevin was the strong, mature one, and then there was Howie. Oh, Howie. 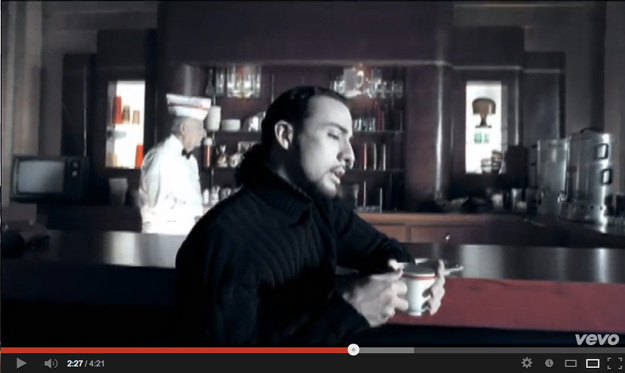 No one seemed to really like Howie, not even the band’s managers or video producers. 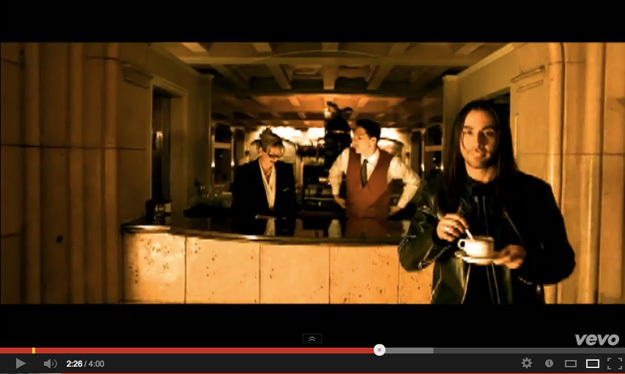 Because while the rest of his band members are off chasing femme fatales or walking moodily through the rain, Howie is getting coffee. Yes. 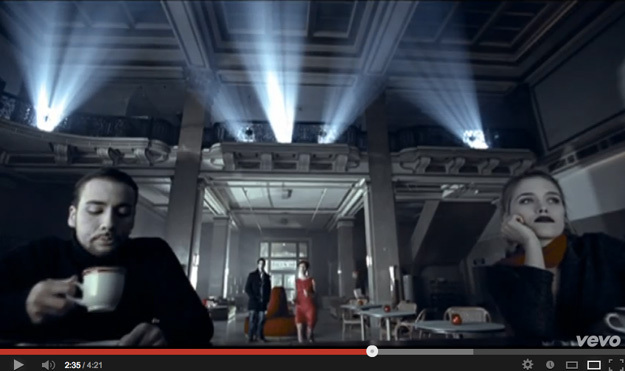 In two separate music videos, the poor guy is relegated to a coffee counter. Oh my gosh. This brings all those memories flooding back. I really shudder to admit this but yes, I was a fan. Damn and now it’s on the interweb and I can’t take it back. Oh well, guess I better own it. Nick was my favourite, undercut and all. I still know all the words to most of their songs off by heart. Sad but true. Erin, how on earth did you figure out that Howie was always getting coffee? Are you some kind of closet superfan? Does Duran Duran count? REALLY showing my age. Of course I have a contemporary who *still* goes to their concerts and hangs out at the stage door trying to get a glimpse, so I still think I’m okay, right? Right??? Never a backstreet fan but quite liked NSync, I guess with the UK having our own bulging collection of boy and girl bands, there were plenty here to be rather fond of – Duran, Spandau in the 80’s and then Boyzone, Blue, Westtlife Take That amongst others in the 90’s. Take That will forever be my ultimate boy band. We just had a TV programme here in the UK, our most popular boy and girl bands of the 90’s that have folded got back with their respective members and toured the UK for one last tour tour. I didn’t bother with tickets! haha, i am confused but i am laughing so it’s all good. All I keep hearing now is “…Backstreet’s back— alright!” lol Never could get with the boy bands. Not even New Kids on the Block…Well, if we’re counting Duran Duran…then yes, boy band freak over here. You are cracking me up! Aw, poor Howie. Well, here’s a thought, maybe it’s what he wanted…Maybe he thought drinking coffee in the music videos, rather than chasing girls, made him appear more sophisticated – The Thinker. Oh well, we’ll just file this under Unsolved Mysteries. This was fun! Thanks, Erin.